Ronon Dex is a mystery. His past is a closed book and he likes it that way. But when the Atlantis team triggers a trap that leaves them stranded on a hostile world, only Ronon's past can save them-if it doesn't kill them first. As the gripping tale unfolds, we return to Ronon's earliest days as a Runner and meet the charismatic leader who transformed him into a hunter of Wraith. 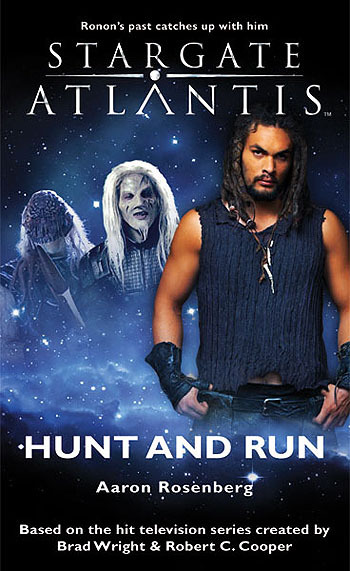 But grief and rage can change the best of men and it soon becomes clear that those who Ronon once considered brothers-in-arms are now on the hunt-and that the Atlantis team are their prey. Unless Ronon can out hunt the hunters, Colonel Sheppard's team will fall victim to the vengeance of the V'rdai.